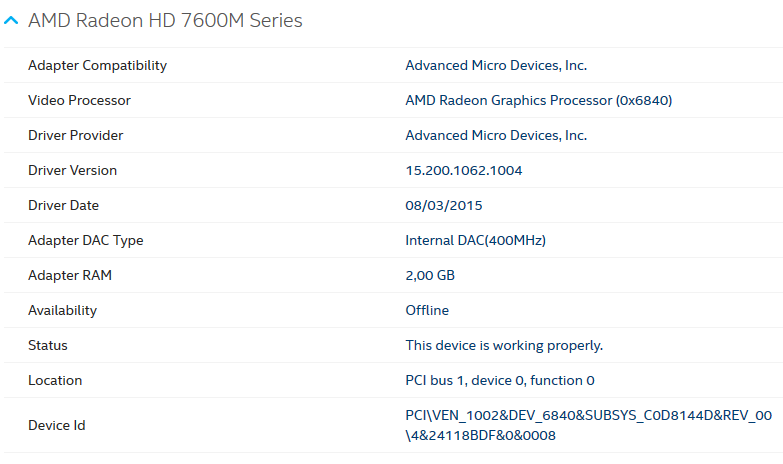 I need a driver update but i can't find my graphic on AMD website. And i want to know why the availability shows Offline. 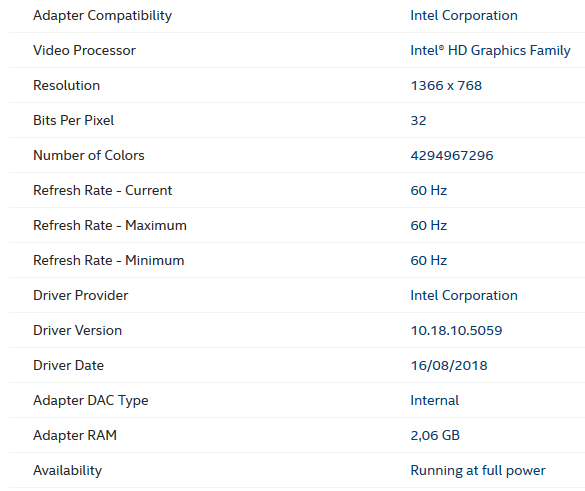 When i run Intel Driver and support assistant says that my graphic availability is OFFLINE, check images below. But in my Intel HD Graphics 4000 says that is running at full power. Or this "availability" doesn't mean that the Radeon isn't working ? I don't see this as a AMD issue. Are you having any problems with your laptop? In Device Manager do you have any yellow marks? Then what's the problem? If you have no issues, I answered/gave you the " I need a driver update but i can't find my graphic on AMD website ".